Thanks, it was nice inshight should be helpful for trading trying to keep up the market speed How long have you been doing fundamental analysis? 5 important things you need to know about this week! US Prelim GDP (Wed, 15:30 MT time) – the USD really needs support to return to previous highs. The forecast is weak, but if the actual data is greater, the USD will rise. ANZ Business Confidence (Thu, 04:00 MT time) – traders will trade the NZD on the businesses’ survey. The figure above 0 is good for the economy and the NZD, below 0 is negative for the economy and the NZD. AUD Private Capital Expenditure (Thu, 04:30 MT time) – traders will get clues on the change in the total inflation-adjusted value of businesses’ new capital expenditures. The forecast is encouraging. The AUD has chances to rise. CAD GDP (Thu, 15:30 MT time) – GDP is a leading measure of the economic activity. If the actual data is greater than the forecast, the CAD will go up. EUR CPI Flash Estimate (Fri, 12:00 MT time) – the forecast is neutral. If the actual data exceeds the forecast, the EUR will rise. Turkish markets are back. Last week Turkish markets were on a break, but since Monday, they have been resuming trading. It may create significant moves of the Turkish lira. Be careful! Wavy Italy. Italy isn’t happy that the EU ignores the migrant’s deal reached in June. As a result, Italy is ready to vote the EU budget. Uncertainties will pull the EUR down. NAFTA, again NAFTA. The US and Mexico are near to reach the NAFTA deal. However, it will take about one week to negotiate with Canada. News will create volatility in the USD, the MXN, and the CAD. Hello Ontario! I’m actually quite new and I’m using this posting mainly as a way to keep me motivated while learning. I’ve been analyzing the markets for around 7 months now. The USD has recently been ahead of other currencies. The main reason behind its strength was that the strength of the American economy in comparison with the economies of other advanced nations. To continue its advance, the greenback needs more positive figures. That’s why traders will pay special attention to the key economic indicator called GDP. The second release this indicator for the months of April-June will take place at 15:30 MT time on August 29. The initial figures showed that the US economy had risen by 4.1%. That was a bit lower than the forecast number of 4.2%. Notice that this indicator often gets revised. • If GDP growth is revised up, the USD will gain. • If GDP growth is revised down, the USD will fall. AUD/USD is a dynamic and interesting currency pair. 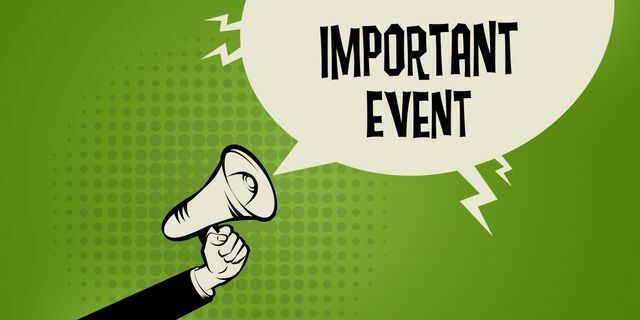 If you trade it, you will certainly need to know about an important economic release that will take place at 04:30 MT time on August 30. Australia will publish private capital expenditure figures. To put it simply, this indicator shows how much money Australian companies spend to develop their business. This is a leading indicator of the country’s economic health. It’s released once in 3 months, so its impact on the AUD exchange rate is high. The last 2 times, the indicator missed the forecasts, and the AUD declined. • If the indicator is higher than expected, the AUD will gain. • If the indicator is lower than expected, the AUD will fall. A co-founder of Fundstrat Global Advisors Tom Lee said that there is a correlation between Bitcoin prices and the situation on emerging markets. He is sure that until the situation on the markets changes, investors won’t put money to risky Bitcoin. Last month he even reduced his forecast for the Bitcoin price to $22,000. A head of Wanchain Jack Lu stays optimistic about Bitcoin. He noticed that the market always recovers and its biggest problem is the big number of manipulations. This week Bitcoin managed to return to highs of the beginning of August. The cryptocurrency rose to 7,125 but met resistance and rebounded. Up to now, the digital currency has been trading near 6,890 (50-day MA). If there is no negative news, Bitcoin will return to 7,125. The next resistance is at 7,340. If Bitcoin isn’t able to break above 7,125, supports are at 6.890 and 6.815. According to the CFTC report, the number of short positions on the Bitcoin futures market reached the historical minimum. It signals the weakness of bears. Dash rose in 26% in one night. The reason is that the company signed a contract with the producer of Kripto Mobile smartphones to raise the number of customers in Latin America. Moreover, Venezuelans increased the demand of DASH because of the hyperinflation and the lack of trust in the national cryptocurrency El Petro. Yahoo added Bitcoin, Ethereum and Litecoin trading on the Yahoo Finance platform. Iran finished the development of a legislation for launching the national cryptocurrency. Israel is not going to deny the idea of launching the national cryptocurrency. Authorities think that the cryptoshekel will reduce transactions on the black market. Currently, authorities are working at a law for the countering the money laundering with the help of cryptocurrencies which is to come in force in October. Canadian and US regulators initiated investigations of more than 200 ICO-projects and investing products based on cryptocurrencies. 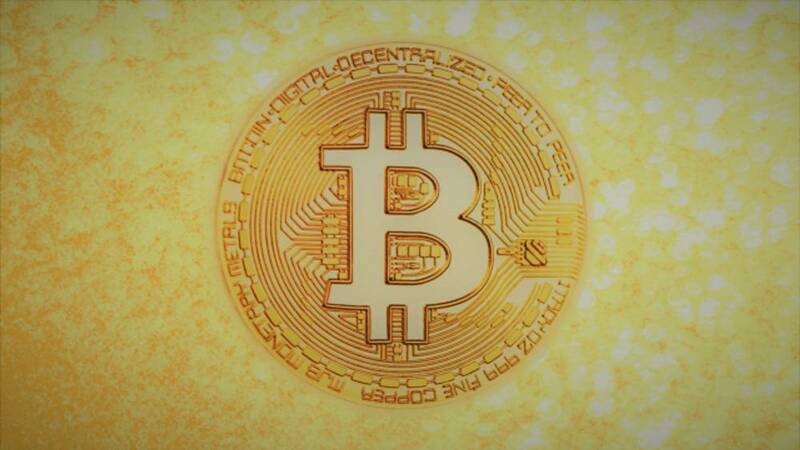 Thousands of Bitcoin on the dark market-related addresses (Silk Road) came into motion. One of the addresses received 499.99 BTC from five different accounts, which is about $ 3,453 million. The coordinated concentration of large batches of Bitcoins on individual addresses began a few days ago. Some members of the community have already suggested that the owner or owners of the accounts intend to sell the coins, others associate it with the process of civil rehabilitation of the bankrupt Mt. Gox. The Tokyo District Court decided to begin the process of civil rehabilitation of the bankrupt MtGox in February 2019. All creditors who want to receive reimbursement in Bitcoin will have to reapply until October 22. However, even in the case of distribution of Bitcoin among creditors, there is a possibility that some of them will want to sell their share. The Venezuelan President obliged state and private banks to accept the national cryptocurrency El Petro. Finance ministers of EU member-nations will meet on September 7 to discuss a cryptocurrency regulation. Barclays is integrating Ethereum blockchain into Barclaycard. It will speed up transactions of card users. JPMorgan is sure that blockchain will replace other technologies in upcoming years. The bank confirmed that it uses blockchain to simplify the process of payment and storage of customer information related to the policy of KYC, moreover, technology helps the bank to prevent money laundering. Up to now, only a quarter of the world’s companies use solutions built on blockchain. Samsung announced BankSign blockchain platform that will increase the efficiency of South Korean banks’ interaction. Binance invested in the development of Terra stable coin. Clients of Bittrex will start trading Cardano (ADA) and ZCash (ZEC) in pairs with the USD since September 5. RBA Rate Statement (Tue, 07:30 MT time) – a change of the interest rate isn’t anticipated. But the RBA statement will create moves on the market. BOC Rate Statement (Wed, 17:00 MT time) – the CB doesn’t plan to change the interest rate but clues on the monetary policy will be important for the CAD. US ISM Non-Manufacturing PMI (Thu, 17:00 MT time) – data based on responses of purchasing managers will determine the direction of the USD. CAD Jobs data (Fri, 15:30 MT time) – jobs data are always highly important for the currency. If the actual figures are greater than the forecast, the CAD will go up. US Jobs data (Fri, 15:30 MT time) – data of three important jobs indicators will be out. Be ready for high volatility on markets. The NAFTA deal is still unsolved. Mr. Trump twitted that there is no political necessity to keep Canada in the new NAFTA deal. If parties don’t come to a fair agreement, Canada will be out. The NAFTA negotiations will keep affecting the CAD this week. Brexit. Possibilities of no-deal. On weekends, the Brexit secretary Mr. Raab said that he is sure about the Brexit deal but still has a plan in case of no-deal. Theresa May said that she won’t let the second referendum happen and won’t surrender. The EU negotiator Mr. Barnier said that he is strongly opposed to the UK proposals and advised manufacturers of European cars to use less British-made parts after Brexit. Let’s see whether there is more news this week. The Bank of Canada is due to deliver its interest rate decision and monetary policy report at 17:00 MT time on September 5. The rate announcement is a crucial factor for the CAD exchange rate, so traders pay special attention to the BOC meetings. Canada’s inflation rose to 3% for the first time since 2011 in July. This unexpected increase puts pressure on the Bank of Canada to accelerate interest-rate hikes. Canadian central bank has already raised interest rates four times since last year to cool the economy. The market expects the BOC to increase the Overnight Rate by October. This won’t necessarily happen in September. Yet, the meeting will still be very important and lead to big swings in USD/CAD and other pairs containing the Canadian currency. • If the Bank of Canada raises the Overnight Rate, the CAD will rise. • If the Bank of Canada doesn’t raise the Overnight Rate and gives negative comments, the CAD will fall. On Wednesday, gold jumped in Asia, powered by the everlasting currency downtime in Argentina that market experts actually expect could provoke a recession, higher inflation, and a weaker peso. December delivery gold futures jumped by 0.06% on the Comex exchange demonstrating $1,199.7. On Tuesday, a monthly poll by Bloomberg disclosed that Argentina’s inflation is anticipated to reach nearly 40.3% at the end of 2018, which is higher than July’s estimate of 31.8%. Additionally, the Argentinian peso is believed to hit 41.9 versus the evergreen buck by the end of 2018, which is much weaker than the anticipated rate of 30.5. This year the Argentinian peso has dived by 52% versus the evergreen buck. With a number of emerging markets including, Turkey, Indonesia, and Argentina facing currency downtimes, the overall demand for the yellow metal that widely considered to be a safe haven asset, will probably go up. On Tuesday, Argentina’s key financial institution sold up to $3.5 billion of devalued national currency. Since June the key bank has had to sell nearly $6 billion. On Tuesday, some financial analysts foresaw that a Fed gathering on September 25-26 is going to have an upbeat impact on gold prices. As a matter of fact, gold has slumped by 15% from its maximum in 2018. Nevertheless, it’s still in an ascending trajectory in this rate-lift cycle notwithstanding the stronger trade-weighted broad greenback as well as the record-setting stock market. 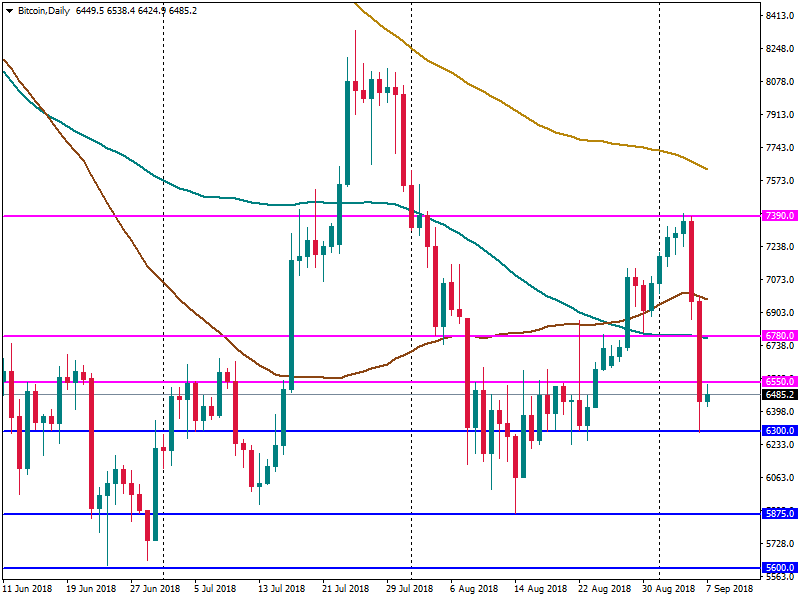 Getting past the highly anticipated Federal Reserve rate lift in September will be most likely positive for the number one precious commodity, in recovery mode from the support line close to $1,165 an ounce. 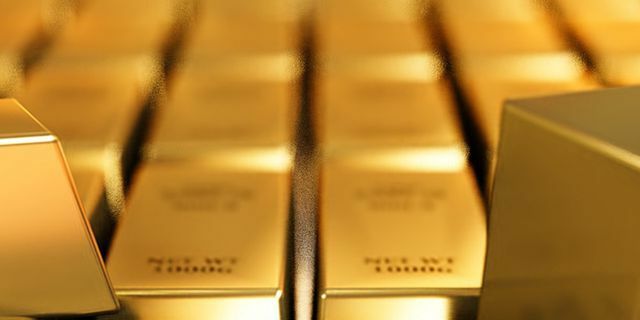 Considering what gold ETFs have done at the time of the recent Federal Reserve tightening cycle, one can be assured that demand for this commodity will go up in the nearer future. Billions of traders wait for the release of NFP every month. The indicator will show how many jobs were created in the US in August. The US Department of Labor will also publish unemployment rate and average hourly earnings. The Federal Reserve is closely monitoring these figures while making its monetary policy decisions. As a result, the release has a great impact on the US dollar in all currency pairs. The last time, NFP came out at 157K versus the forecast of 191K but average earnings showed good growth of 0.3% and the unemployment rate declined from 4% to 3.9%. 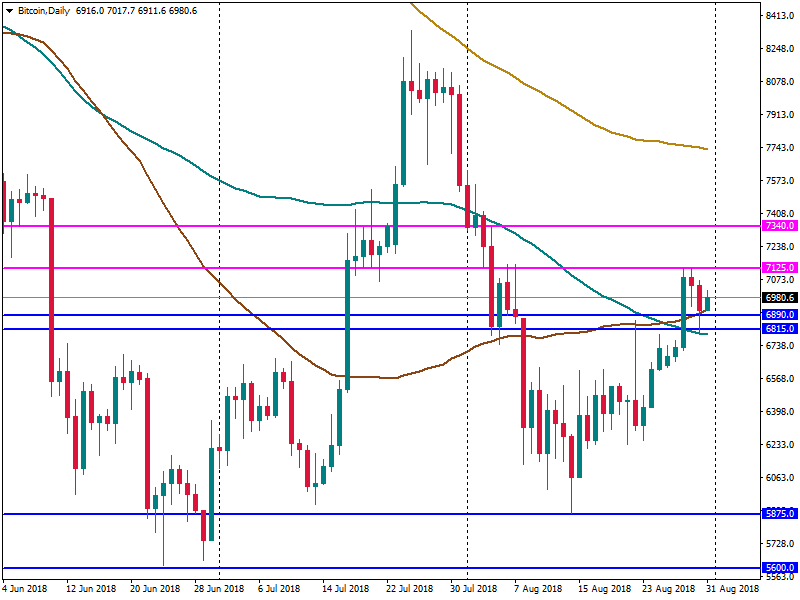 Traders focused on NFP, and the USD declined against the JPY, the GBP, the AUD, and other currencies. • If the NFP indicator is bigger than expected, the USD will gain. • If the NFP indicator is smaller than expected, the USD will fall. Michael Novogratz, investor, billionaire: think how institutional investors work. It’s difficult to come to the boss and say that money is in the place that he doesn’t know about. It will require a reliable and well-known trustee - a Japanese bank, or an organization such as Goldman Sachs, HSBC, or ICE. Only then the institutional investor will feel comfortable. On Tuesday, Bitcoin tested highs of the beginning of August near $7,390. Yesterday Bitcoin slid to levels below $6300. There was news on Wednesday that Goldman Sachs decided to hold back its plans to set up a crypto trading desk. In addition, one of the oldest trading platforms ShapeShift AG said it will begin asking users for personal information. Although this may turn out to be good in future, it currently hurts the sentiment. Up to now, the cryptocurrency has been trying to recover. However, the trading isn’t extensive. The resistance lies at $6,550. If it’s able to break above this level, the next resistance will lie at $6,780 (100-day MA). If bulls are weak, Bitcoin will fall to $6,300. The next support is at $5,875. One of the leading stock exchanges Deutsche Börse announced an opening of the cryptocurrency and blockchain department. The leading Japanese bank Mitsubishi UFJ Financial Group has started testing its own cryptocurrency MUFG Coin on the employees. The shop where the employees can pay with MUFG Coin was opened in the main office in Tokyo. Abra bitcoin application started cooperating with the European banks. As a result, all residents of the single euro payments area can buy Bitcoin for fiat. Financial Services Agency of Japan lifted criteria of the cryptocurrency exchange license. It may be due to the big number of applications for the opening of cryptocurrency exchanges. The Columbian President Ivan Duque invited cryptocurrency companies to open representative offices in the country and promised to support the industry. The local crypto boom happened in Iran. After the government legalized the mining industry, the price of bitcoin surged to $24,000 on local platforms. The Belgian research center Bruegel urged the European Union to create a single standard сryptocurrency regulation. It made a report that is supposed to become a basis for the regulation within the EU. The report will be presented at the meeting of ministers of Economic and Financial Affairs at the end of the week. It wasn’t clear for me what was your bias ahead of NFP? Up or down? Or you just bring up all information related to NFP which will be helpful to make decision? Hello Ontario, I wasn’t really trying to give a forecast, in the end it made a big move (the result was around 161k). I was just trying to point out it’s importance. On Tuesday, the Japanese yen went down on news that a Japanese chip manufacturer was purchasing an American rival for about $6.7 billion. Meanwhile, the UK pound held onto overnight profits right after the EU’s key negotiator backed expectations that a Brexit deal can be reached in the nearer weeks. Eventually, most other key currencies were in tight ranges because market participants waited for further developments in international trade clashes, in particular on any American move to impose fresh levies on China in the face of heightened tension between the two leading economies. On Tuesday, the UK currency jumped by 0.1% hitting $1.3041. Market experts stress that if the talks for Brexit conclude on a positive note, it will definitely underpin the British pound. The common currency was nearly intact, sticking with $1.1601. It rallied nearly 0.4% during the previous trading session, backed by an easing in worries over Italian debt. Versus the UK currency, the euro hit 88.94 pence, having dived to a fresh one-month minimum of 88.91. Policymakers at the BoE as well as ECB are generally anticipated to leave their policy settings intact at their respective gatherings on Thursday. 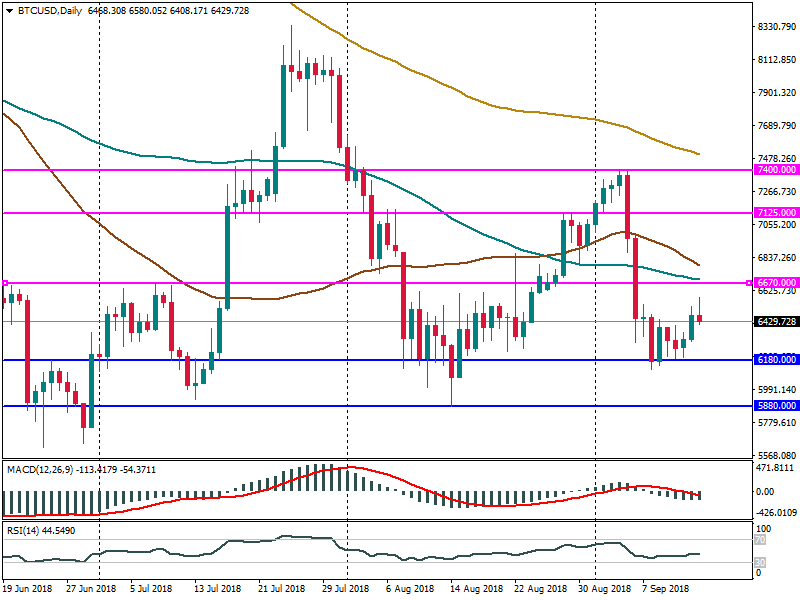 Tracking the greenback’s purchasing potential versus its primary counterparts the USD index stood still at 95.140, having lost 0.2% overnight. News that Japan’s chip manufacturer Renesas was purchasing its American rival Integrated Device Technology for up to $6.7 billion put pressure on the Japanese yen. The evergreen buck jumped by 0.3% hitting 111.41 yen due to the fact that market participants also cut some of their safe-haven holdings of the Japanese yen because the benchmark Nikkei 225 stock index tacked on by over 1% and also on expectations for a Brexit deal. Additionally, the Australian dollar soared by 0.15% reaching $0.7123. Nice, what’s your view on AUDUSD then? Any forecast about RBA move? On Tuesday, the evergreen buck moved up versus other currencies due to the fact that China-U.S. trade relations worsened. 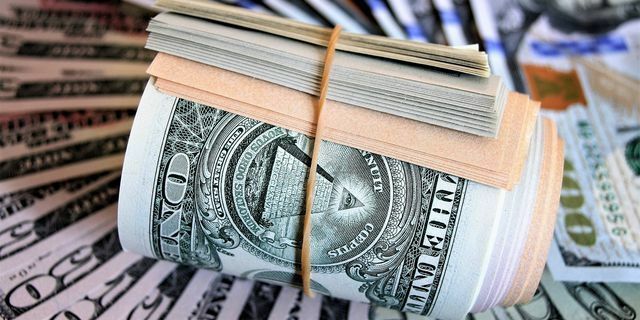 Estimating the US dollar’s purchasing power versus its several primary counterparts the USD index climbed up by nearly 0.12% trading at 95.23. On Friday, American leader came up with a threat to slap levies on nearly all China’s goods. The extent of this shocking move actually amounts to $467 billion. At the same time, China intends to ask the WTO for the official permission to slap sanctions on American in compliance with a WTO meeting agenda. The Chinese government is going to place its request next week. It’s going to be a response to Trump’s remarks. Earlier Chinese officials had told they would respond to any trade moves from America. Hopes for a Fed rate lift in September also assisted to push the evergreen buck up. Another upbeat news was the Job Openings and Labor Turnover Survey that unexpectedly turned out to be better than anticipated. The evergreen buck moved up against the safe-haven yen. Eventually, the currency pair USD/JPY rallied by up to 0.31% coming up with an outcome of 111.45. 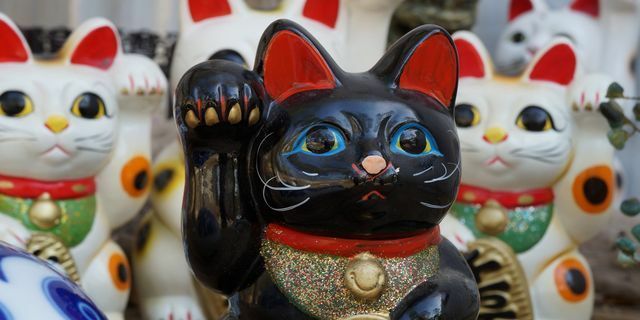 In times of uncertainty, a great number of traders are prone to investing in Japan’s currency, traditionally considered to a reliable safe asset during difficult periods of risk aversion. The common currency declined suppressed by the strengthening evergreen buck. The currency pair EUR/USD went down by 0.06% hitting 1.1586. 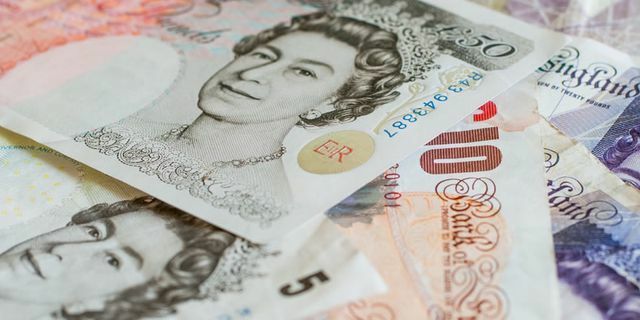 The UK pound dived too, following news that Bank of England Governor Mark Carney decided to stay on until January 2020, which is 6 months longer than he initially intended to serve. The currency pair GBP/USD lost 0.21% being worth 1.2999. Meanwhile, the Australian dollar dived. The currency pair AUD/USD slumped by 0.28% trading at 0.7094. Simultaneously, the currency pair NZD/USD dived by 0.32% hitting 0.6504. As for the Canadian dollar, this currency jumped versus the evergreen buck. USD/CAD slumped by 0.16% trading at 1.3143. After started bearish on Monday, Bitcoin increased to its mid-August levels closing at $6,468 on Thursday. 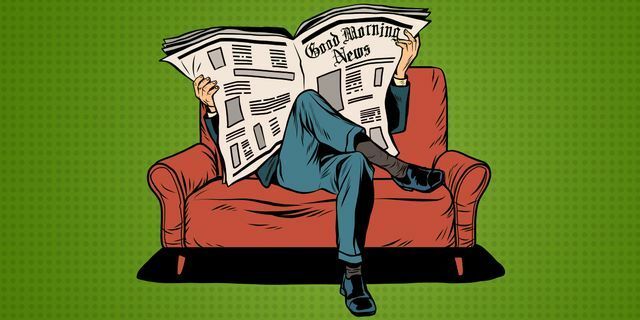 It is connected with the news about Morgan Stanley. The famous bank announced that it is working on a solution to protect the Bitcoin investors. Moreover, other big financial institutes, such as Citigroup and BlackRock, are planning to launch crypto-related products. The market reacted positively, which resulted in pushing the price of BTC up. Up to now, the digital currency has been trying to reach the 200-period MA on H4 at $6,605. If it breaks the resistance level, the future growth could be expected. The next resistance level is at $7,125. Otherwise, BTC/USD will go back to the support at $6,180. Coinbase, Protocol Labs, Digital Currency Group and other crypto and blockchain companies created the Blockchain Association for the protection of industry’s interests. Japan’s average land prices managed to surge for the first time for 27 years in the year to July 1 because an influx of foreign tourists stimulated demand for shops and hotel properties. That’s what a government poll disclosed on Tuesday. As a matter of fact, commercial land prices tacked on for a second straight year, while the tempo of the dive in residential land prices speeded down for a ninth consecutive year, according to the land ministry’s annual poll. As for residential land prices, they went down by 0.3% in contrast with the previous year’s 0.6% slump.